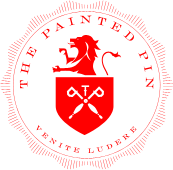 You’re Invited - Join us for an exclusive New Year’s Evening at The Painted Pin! Ring in 2015 at Buckhead’s upscale boutique bar, bowling and entertainment venue. Cover per person to be paid in cash at the door. •Live music courtesy of Gurufish from 8p.m. - 12a.m. •Late night DJ from midnight - 2a.m. •Classic pub games including bocce ball, shuffleboard, oversized pop a shot, giant jenga, skee-ball, ping pong, bimini ring game, darts and southern skittles. •Doors will open for the evening at 5p.m. and the party will conclude at 2a.m. The Painted Pin does not take reservations; all lanes, soft seating areas and booths are available on a first come, first serve basis. Bowling lanes available for $35 per hour, per lane. Shoes are $4.50. Max bowling allotment time of 2 hours per lane applies. We are 21+ and abide by a strict dress code.